The bipartisan heads of several United States congressional subcommittees have sent a letter urging the Obama administration to obtain the full and uncensored United Nations report on an investigation into possible misconduct by the head of the World Intellectual Property Organization. Meanwhile, procedural wrangling may be taking place within WIPO on who has the right to suppress or see the report. “We write to urge the administration to use its full voice, vote and influence at the United Nations and demand the full and unredacted Office of Internal Oversight Services (OIOS) report into corrupt practices at the World Intellectual Property Organization (WIPO) and the conduct of its Director-General, Francis Gurry, be made public and available to the members of the General Assembly,” the 28 April letter said. “There is strong, bipartisan congressional interest in the results of this report and in ensuring that there is full accountability and transparency at WIPO,” it said. WIPO, as a UN agency, is wholly member-state driven. But this year’s WIPO General Assembly Chair, Colombian Amb. Gabriel Duque, has blocked access to the report by member states, and appears to be in coordination with Gurry, according to government and observer sources. Duque’s office and WIPO have declared that they will not speak to the press on this matter. Duque was said to be the author of a three-page summary of the report a few weeks ago, which said the DNA matter was inconclusive but that there is evidence Gurry inappropriately influenced the contract (IPW, WIPO, 12 April 2016). According to a source, Duque met this week with WIPO regional coordinators plus three or four other member states from each region, to discuss next steps on the OIOS report. The results of the meeting were unknown at press time. But a number of member states have been said to be pressing for disclosure of the report, at least in redacted form. 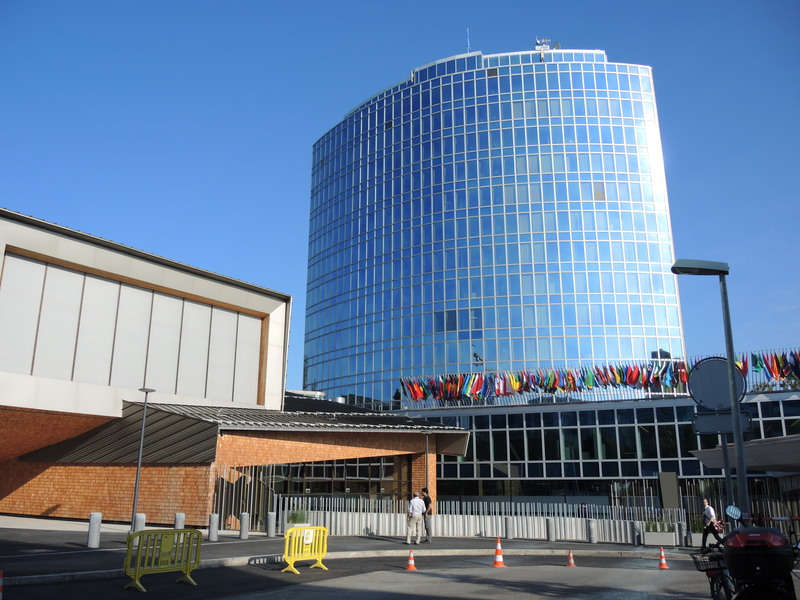 The chair of the WIPO Coordination Committee (a key member state executive body), Amb Francois Ngarambe of Rwanda, also has a role in the process and may be pushing for release of the report, according to sources. All investigation reports, drafts, materials, findings, conclusions and recommendations are fully confidential, unless disclosure is authorized by the Director, IAOD or the Director General. It is presumed that the director general does not want the report disclosed. The acting director of the Internal Oversight Division is Tuncay Efendioglu, who reports to Gurry. It is unknown whether he is authorising its disclosure, or what if any action he has taken. Allegations of misconduct against the Director General shall be reported by the Director, IOD to the Chair of the General Assembly with a copy to the Chairs of the Coordination Committee and the IAOC. The Director, IOD shall seek the advice of the IAOC on how to proceed further. The congressional letter also raises concern about an “illicit transfer of technology to rogue states and retaliation against whistleblowers,” noting it was the subject of a congressional hearing in February (IPW, WIPO, 25 February 2016). In the hearing, the subcommittees heard testimony from several WIPO whistleblowers, including a former top WIPO official and Silicon Valley patent attorney, and former senior Australian government official. The letter was signed by Reps. Chris Smith (R), chairman, Subcommittee on International Organizations; Ileana Ros-Lehtinen (R), chairman, Subcommittee on Middle East & North Africa; Matt Salmon (R), chairman, Subcommittee on Asia & the Pacific; Brad Sherman (D), ranking member, Subcommittee on Asia & the Pacific; and Ted Deutch (D), ranking member, Subcommittee on Middle East & North Africa. These are all subcommittees of the House Foreign Affairs Committee. "Citing “Toxic” Environment, US Congress Members Urge Secretary Kerry To Get UN Report On WIPO" by Intellectual Property Watch is licensed under a Creative Commons Attribution-NonCommercial-ShareAlike 4.0 International License.